I love the summer. And it seems like just yesterday when I went to last year's Earthfest. I can still remember it, my friends Gwen, Missy, and Eric (and I) hung out for a while listening to some live music, visited all the vendors outside and just lounged around outside for the morning. 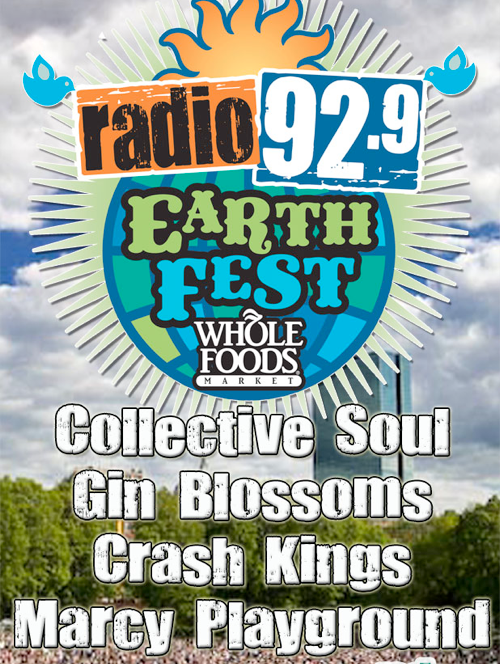 This year, the Earthfest will be taking place on Saturday 5/22. 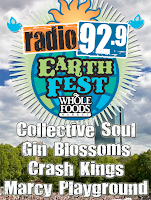 The 17th annual Radio 92.9 EarthFest will return to DCR’s Hatch Memorial Shell in Boston on May 22, 2010, from Noon to 5:00 pm. Presented by Whole Foods Market, the free festival is a celebration for the Earth, showcasing national and local music acts, environmentally friendly products and local non-profit environmental organizations. In addition to the musical performances on the main stage, the Radio 92.9 Earthfest will also feature Kids’ Planet – an expanded interactive family area. Kids’ Planet will feature a stage with a wide variety of musical acts and entertainment as well as environmental activities and educational displays. Activities in Kids’ Planet will begin at 10 a.m. I just scoped out the page to see the headliners, what a blast from the past: Collective Soul, Gin Blossoms, Crash Kings, and Marcy Playground. 0 Response to "17th Annual Radio 92.9 EarthFest - 5/22"